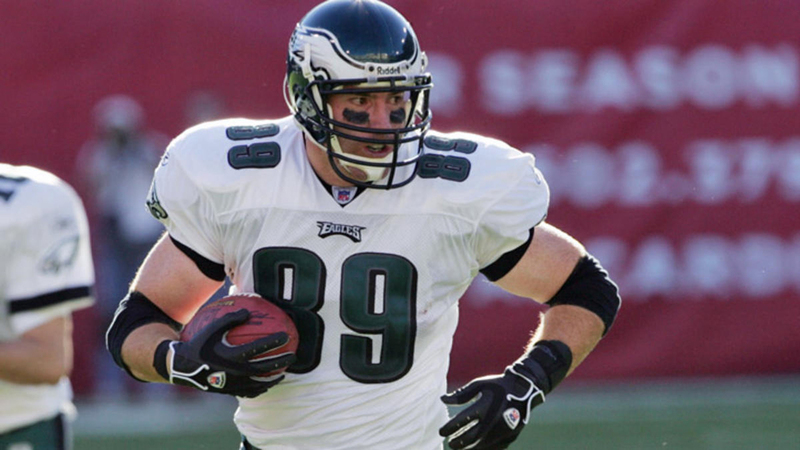 Pete Retzlaff is the gold standard for Philadelphia Eagles tight ends. The only Philly tight end with his number retired, Pistol Pete played all 11 seasons in Philly, and he currently sits second on the franchise’s all-time receiving list, and of course No. 1 among tight ends. Also known as The Baron, Retzlaff made five Pro Bowls amassed 7,412 receiving yards and 47 scores over his career. Oddly enough, his best campaign came in his penultimate season, when he tallied 1,190 yards and 10 touchdowns, earning him NFL MVP honors, then known as the Bert Bell Award, for 1965. 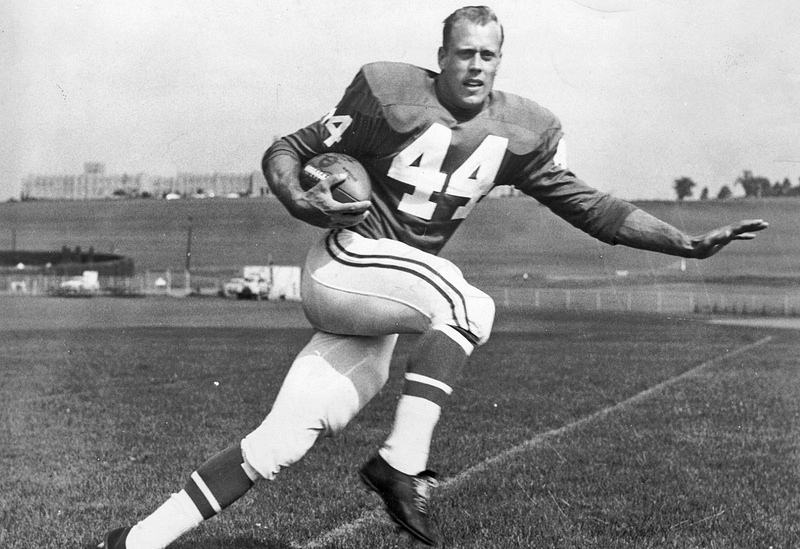 He was also part of Philly’s 1960 NFL Championship squad, and he is not only an Eagles legend, but he is also one of the greatest tight ends in the history of the league. 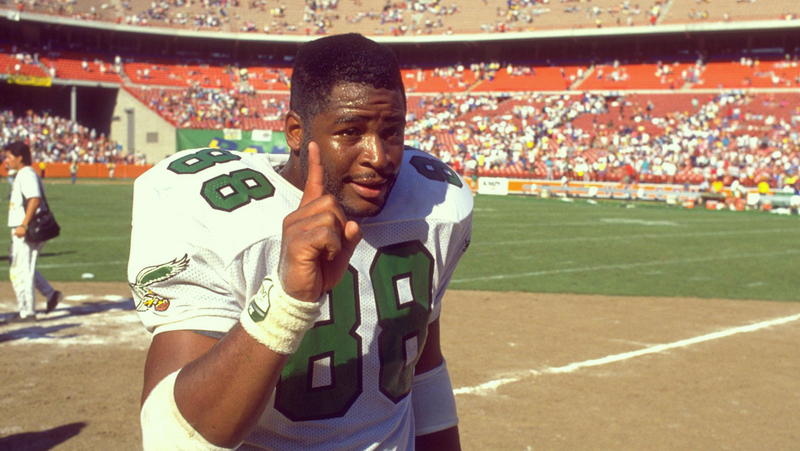 Similar to Jackson, Keith Byars was a highly touted prospect throughout his road to Philly, and he was selected in the first round of the 1986 draft. But unlike Jackson, Byars wasn’t just a tight end. He also played fullback and was an incredible dual-threat skill player. He played in Philly for seven years, tallying 3,532 receiving yards, 2,672 rushing yards and 30 combined touchdowns. He earned one Pro Bowl honor in 1993, but the versatility he displayed over his career made him a legend in Philly and across the NFL. Keith Jackson was a legend for Philly in the late 1980s and early 1990s, but before that, he was a stud in high school in the state of Arkansas, and then for the University of Oklahoma. He earned All-America honors at both levels, and eventually a No. 13 overall draft selection by the Eagles. He played four years in Philly and was All Pro for his first three seasons. 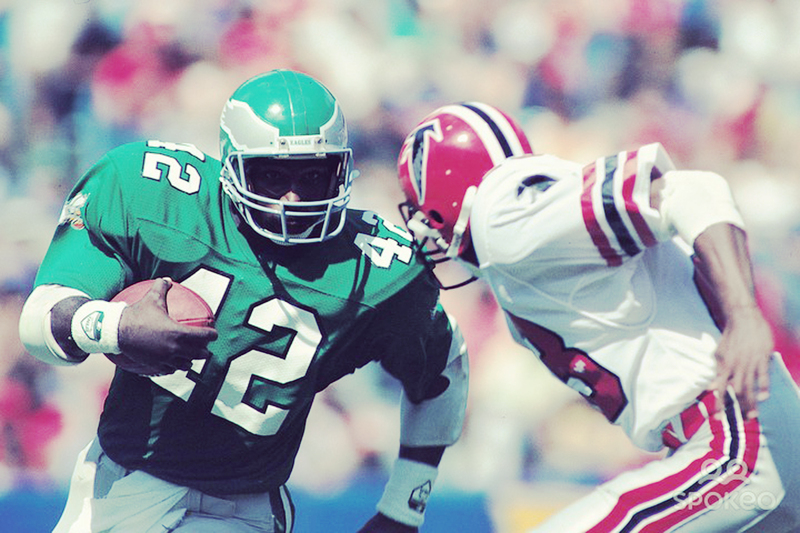 Jackson finished with his career with more than 5,000 receiving yards and 49 touchdowns, and 2,756 yards and 20 scores came during his incredible stint catching passes from Randall Cunningham in an Eagles uniform. Chad Lewis’s was an incredible story. He went from a walk-on at Brigham Young to going undrafted in 1997, but after being picked up by Philadelphia, he caught four touchdowns while filling a goal-line role, but his first stint was short and lackluster. After a quick trip to St. Louis, Lewis returned to Philly and his career took off. He quickly became one of McNabb’s most trusted security blankets, and he earned three trips to the Pro Bowl from 2000-2002. He caught a dozen of his career 23 touchdowns in that span. Then in the 2005, he etched his name into Philly lore by hauling in two touchdowns, including the game-clinching score, to send the Eagles to the Super Bowl. 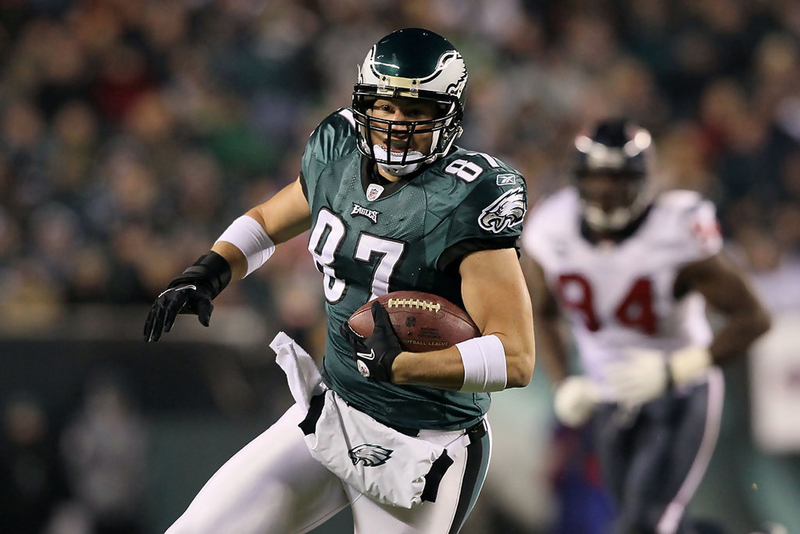 Drafted in the fifth round in 2007 out of Cincinnati, Brent Celek has since solidified himself as one of the greatest tight ends in Eagles history. He finished the 2014 campaign at No. 11 on the all-time Eagles receiving list and second among tight ends, tallying 4,315 yards and 244 receptions over 127 games. He has also pulled down 27 touchdowns and has averaged a solid 34 yards per game—missing just one game in his eight-year career. From the moment he entered the league, he has been one of Philly’s most consistent receiving options, and he plays a big blocking role in the squad’s always important ground game. His career has led him to catch passes from Donovan McNabb, Michael Vick and Nick Foles, and now entering his ninth year, he acts as one of Zach’s biggest mentors both on and off the field.